Located in the southwest of France lies the largest wine growing region in the country – Bordeaux. In one single vintage, Bordeaux can produce over 700 million bottles. Some of these bottles will be regarded as some of the greatest and most sought-after wines in the world. Arguably the greatest wine region on the planet. This special area is full of history, tradition and, of course, excellent wines. With so many good wines now being produced around the world Bordeaux faces stiff competition. Its history, reputation and branding continue to protect prices however the wines of Australia, South Africa, Italy, Spain, California even South America, often created using techniques imported from France, are providing real choice to consumers. How has the history shaped this reputation? The history of Bordeaux’s wine begins back in the 1st Century when the Romans planted vines for the first time to produce wine for their local community. Production has been continuous in the region ever since. In the 12th Century, the popularity of “Claret” exploded in England following the marriage of Henry II, the first Plantagenet King (whom Danny Dyer is a direct descendant of) and Eleanor of Aquitaine. The marriage made the province of Aquitaine part of the Angevin Empire, following which the wine of Bordeaux began to be imported into the UK. At this time, the now sub region, Graves, was the primary wine region of Bordeaux, and the principal style was clairet – this is where the Brits adopted the name Claret (British name for the clear red Bordeaux wine as it was in those times). In the seventeenth century, Dutch traders drained the swampy ground of the Médoc (left bank) so it could be planted with vines, and this region eventually surpassed Graves as the most prestigious sub region of Bordeaux. At the time, Malbec was the dominant grape until the early 19th century, when it was replaced by Cabernet Sauvignon. What are the main grape varieties of Bordeaux? There are five red grapes which make up the Bordeaux varietals – Cabernet Sauvignon, Merlot, Cabernet Franc, Malbec and Petit Verdot, although Cabernet Sauvignon, Merlot and Cabernet France blends are somewhat the most popular blend found today. What makes Bordeaux different from other wine regions? The vines of Bordeaux are grown all over the Region, but a large number of consumers focus on the difference between the left and right bank. The Left bank is predominantly Cabernet Sauvignon, which suits the gravel/stony soil the Médoc holds. The soil in the Médoc reflects heat and sunlight onto the vines during the day and preserves much of the heat and energy at night, helping the vines enjoy a longer period of warmth. All vines are dependent on terroir, non-less so than Cabernet Sauvignon which requires a lot more heat than any other Bordeaux varietal. In good years this results in grapes that produce a higher yield with a deeper, stronger intensity. On the right bank of Bordeaux, you’ll find the region’s most commonly grown grape – Merlot. Using the sub region St. Emilion as an example from the right bank, you can typically find a softer limestone/clay soil which complements Merlot’s growth extremely well. The type of soil on the right bank would struggle to support the growth of Cabernet Sauvignon due to the lack of warmth whereas the left bank would struggle to support the growth of Merlot due to potential burning from the heat/soil. Why are the grapes blended rather than bottled as one variety? The weather in Bordeaux can be unpredictable and with wind and rain coming in from the Atlantic, the risk is too high for producers to rely on just one grape varietal. Cabernet Franc, almost seen as the insurance grape, is grown predominantly in Libournais. Cabernet Franc is known well to add complexity to a lot of Bordeaux blends but is very rare to find a wine in Bordeaux where the majority of the bottle is Cabernet Franc. Cabernet Franc has a thinner skin and is lighter than Cabernet Sauvignon, making a bright pale red wine that contributes finesse and lends a peppery perfume to blends with more robust grapes. Depending on the growing region and style of wine, additional aromas from Cabernet Franc can include tobacco, raspberry, cassis and violets. So, how did classification come about? The Bordeaux Wine Official Classification of 1855 came into action when Napoleon III requested a classification system for France’s best Bordeaux wines. These wines would be on display for visitors from around the world. Brokers in the wine industry ranked the wines depending on the Chateau’s reputation and trading price and this on top was directly related to the quality of the wine. The wines were and still are ranked between ‘First to Fifth’ growths – All of the red wines that made it on the list came from the Médoc region except Chateau Haut Brion from Graves. The white wines, then of much less importance than red wine, were limited to the sweet varieties of Sauternes and Barsac and were ranked only from superior first growth to second growth. Lafite Rothschild, Latour, Margaux and Haut Brion were listed as the finest wines of Bordeaux. Mouton Rothschild of course controversially joined them as the final 5th First Growth in 1973 after years of lobbying from the Rothschild family proving the 1855 classifications are not set in stone, but almost. How is it that the finest sweet wines also come from this region? Sauternes, a sweet wine from a sub region in the south of Bordeaux is called Sauternais. Made up of Sémillon, Sauvignon Blanc and Muscadelle grapes which have been affected by noble rot, la pourriture noble. Noble rot causes the grapes to slightly raisin during the harvest, increasing a larger amount of sugar in the grapes, resulting in concentrated and distinctively flavoured wines. Due to the climate in Sauternais, Sauternes is one of the few wine regions where infection with noble rot is a frequent occurrence and, due to this production is a hit-or-miss proposition and each vintage can vary massively. Sweet wines from Sauternes can demand high values due to the cost of production, the risk involved in production and that when the vintage is a success they are the finest sweet wines in the world. 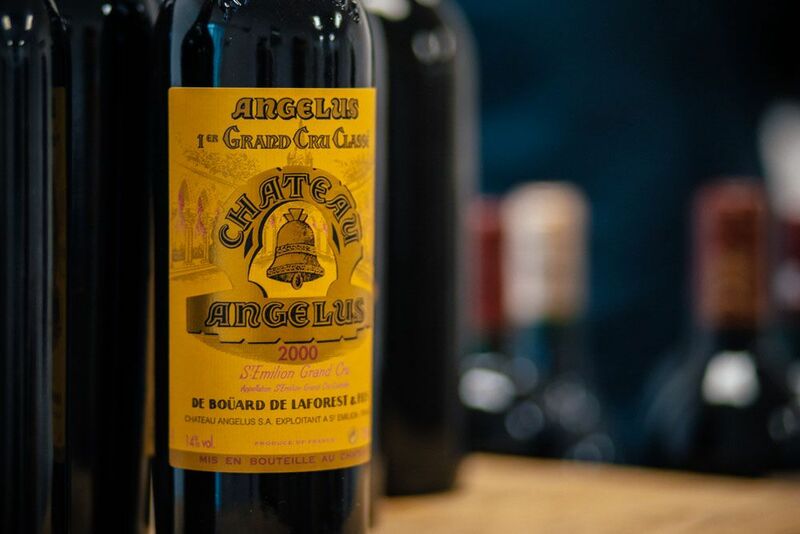 In The 1855 Bordeaux Wine Official Classification, 21 of the finest Bordeaux sweet wines were classified as ‘Grand Crus Classés’ in the original classification. Nine Chateaux from Sauternes and Barsac region were classed as Premier Cru. 11 Chateaux were assigned (second growth) ‘Deuxième Cru’. One winery was considered so great that it was granted a special ‘Premier Cru Supérieur’ Classification. – Chateau d’Yquem.